Active as an international lawyer since 1998. Focuses on international contracts, litigation strategy, as well as advising Dutch and international companies. Camilo assists clients with a broad range of matters. He mainly advises clients in complex international conflicts, which require legal and strategic advice on multiple fronts and from different jurisdictions. Jointly with the client, Camilo determines the strategy. Subsequently, he coordinates and leads teams of lawyers and other specialists across the globe. Of course, he also represents his clients in proceedings before the Dutch courts. His clients are based in Europe, North and South America, Africa and Japan. In addition, Camilo advises on corporate law. He is regularly appointed by the Enterprise Chamber of the Court of Appeal in Amsterdam as an interim trustee, director or investigator to manage or supervise companies or corporate structures that suffer internal conflicts or mismanagement, usually with complex international aspects and stakeholders with diverse cultural backgrounds. Camilo also handles cases in which principles are at stake. These are cases where the applicable law is yet ambiguous, or cases in which his clients are faced with fraud or mismanagement. Camilo assists these clients in unravelling the fraud or prejudicial schemes in often complex evidence gathering processes. Camilo read law in Madrid and Amsterdam. He graduated in Dutch civil law. From 1994 to 1998 Camilo conducted PhD research at the University of Amsterdam (Universiteit van Amsterdam), where he also lectured. He acquired his PhD in 1999 with a thesis on the Spanish Constitutional Court and its case law. Camilo started his career as a practising lawyer in Supreme Court litigation. As of 2001, he worked at the international advisory and litigation teams of law firms Bird & Bird (The Hague) and Freshfields Bruckhaus Deringer (Amsterdam) respectively. In 2006 he co-founded SSHJ Advocaten with Lise Heide-Jørgensen. Camilo is Dutch and Spanish. Besides Dutch law, he acquired a PhD on Spanish constitutional law. His working languages are Dutch, English, and Spanish, and he also reads French, German, Danish, Portuguese and Italian. 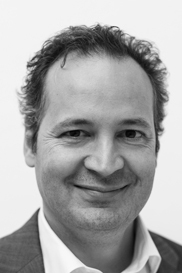 Camilo chairs the Rule of Law Advisory Committee of the Dutch Bar Association, and is a member of various Dutch legal associations.